Welcome to my almost over blog series, Bullet Journal 2.0. In this series, I’ll be discussing a number of topics, including what a bullet journal is, future logs, monthly spreads, weeklies vs. dailies, habit tracking, collections, getting over the fear of starting, what to do before you get started, bullet journal FAQs (hey, you’re on this post), and a final wrap-up with my top tips and pointers. If you were counting, that was 10 topics. One topic a week for ten weeks! I dug myself a deep hole here, but with your support, I’ll pull through. Our time together has nearly reached its end. 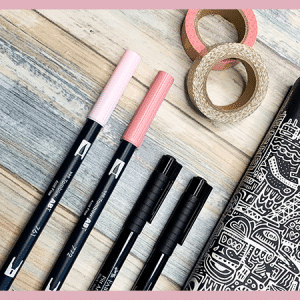 This is the ninth installment of the Bullet Journal 2.0 Series, and I am going to be sad when we part ways. But no fear, the internet lives on, as will you. As for my fabulous, wonderful, and ever supportive audience, please don’t leave me! I promise, there is more juicy stuff on the way. 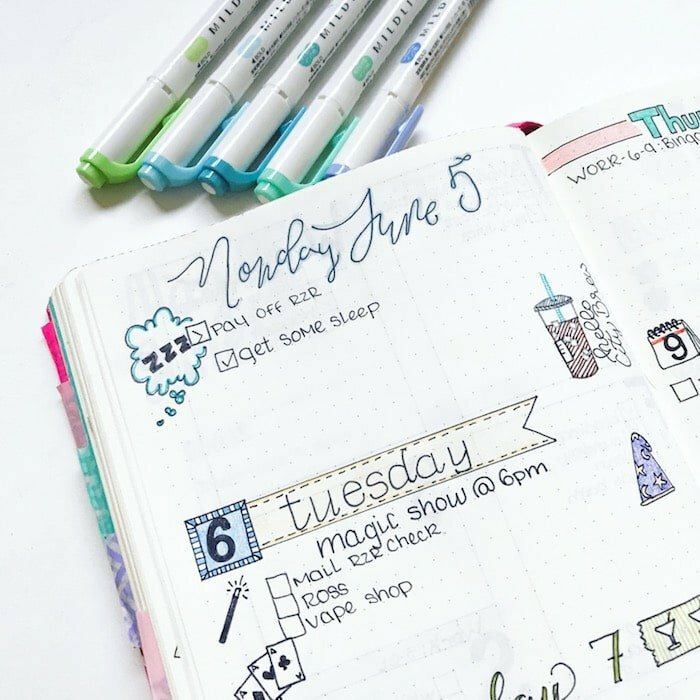 But for now, let’s stick to today’s game plan, which is to answer your most frequently asked questions about bullet journaling. I’ve scoured the web. Facebook, Reddit, my email, all the above. I’ve done my best to select and answer the questions you guys are asking most. If you have more questions at the end, be sure to leave me a comment or head over to my Facebook Page and ask it there. I’ll get back to you with a thorough answer as soon as I can. You can also send me an email. 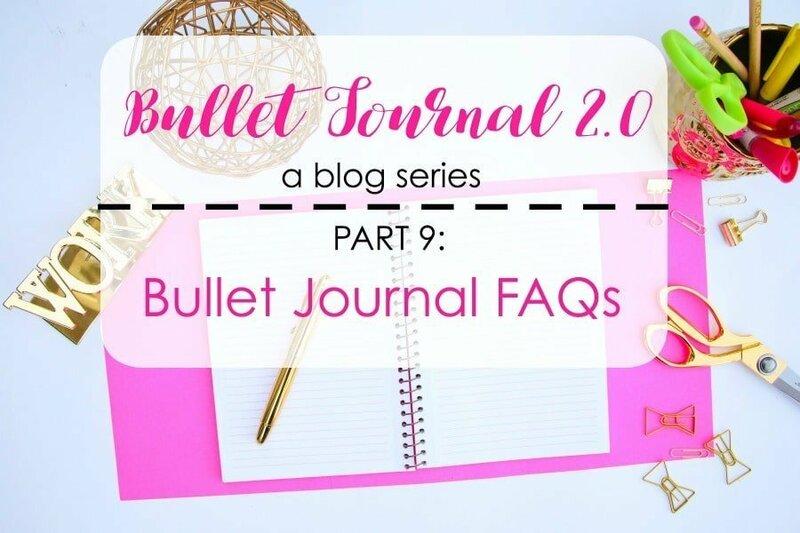 Be sure to click through the links, as many of these questions are explained in depth by me or other bullet journal bloggers. Other than that, read through and feed your brain! What is the best notebook that won’t bleed or ghost? The Bullet Journal System is so overwhelming; I don’t know where to start. Help!?! Where can I find dot grid notebooks? What are the best pens? How do you store all of your bullet journal supplies? It’s the middle of the month. Can I start my bullet journal now, or should I wait until the beginning of next month? 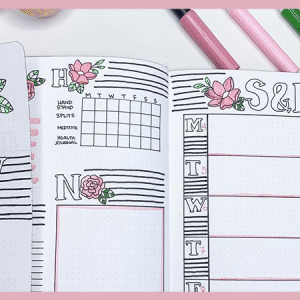 How long should I be spending on my bullet journal every day? Should I draft my spreads in pencil first and then go over it with ink? 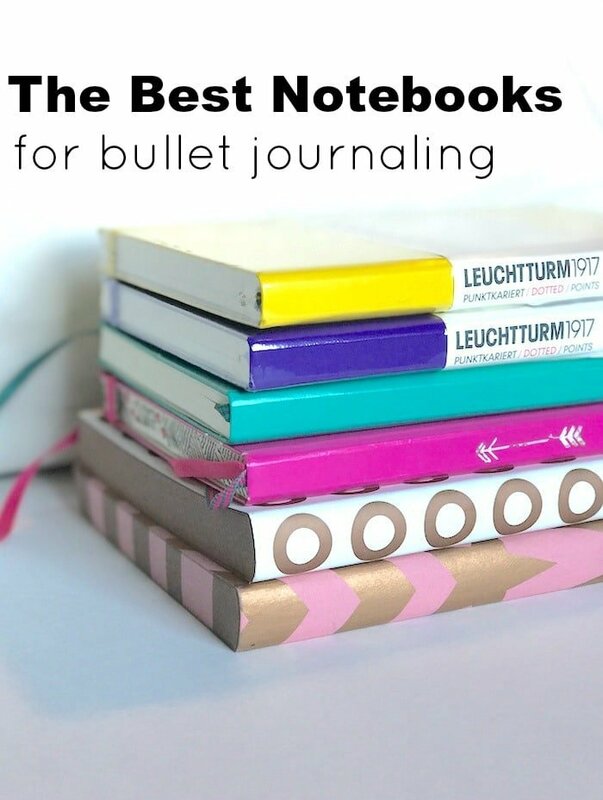 What are your thoughts on carrying your bullet journal around with you?
. But, it’s not enough to bother me and I’ve got used to completely ignoring it. both have 100gsm paper. Keep in mind, you do not need one of these notebooks to succeed. If you have a favorite notebook or find a notebook with thick paper that you just love, use it. is the best choice in terms of paper. It’s brilliant white and has 120gsm paper. These notebooks are also much more expensive, harder to find in the US, and lack features like page numbers, index, bookmarks, and elastic closures. 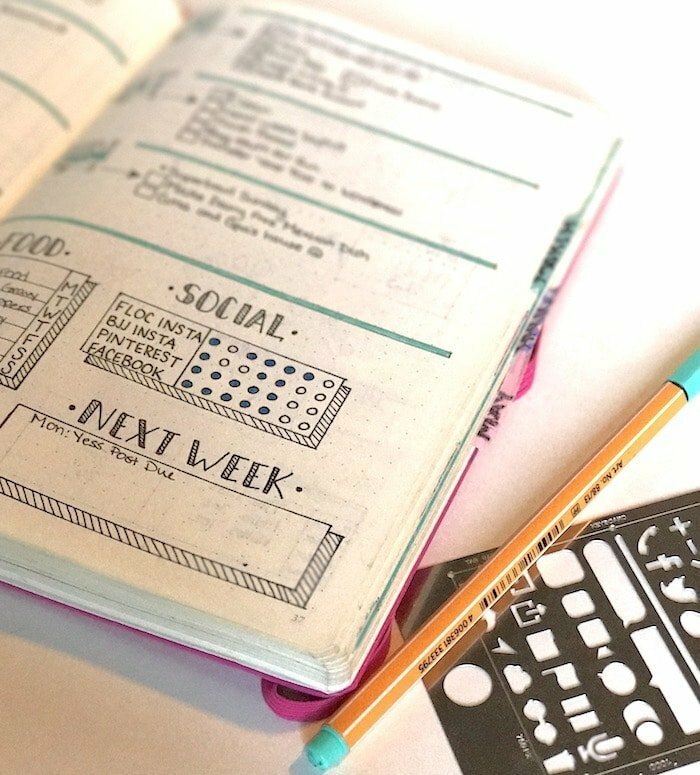 The original bullet journal system is not overwhelming. The internet has made it overwhelming with an abundance of artistic spreads and trackers. In all actuality, the system itself is very simple. That was the initial appeal. It’s a productivity tool that requires very little time and effort, with maximum results. 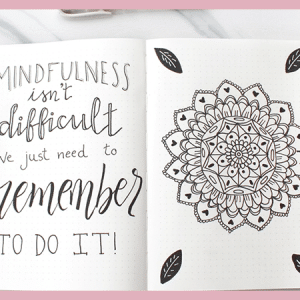 If you are just starting or questioning where to start, you must have a look through BulletJournal.com. Ryder Carroll, the creator of the Bullet Journal has laid out a very easy to understand guide to the system. It will give you all of the information to get you started. While I can’t stop you, and you’ve probably already done it, I highly suggest you avoid searching for bullet journal on Pinterest, Instagram, and Tumblr. Until you have familiarized yourself with the standard format, all those extras are just distractions from the functionality of the system. If you still feel overwhelmed and confused after going to the Official Bullet Journal website, I created a list of bullet journal alternatives and compiled them in a blog post. You can check it out here. These are formatted similarly to a planner, but they aren’t pre-dated and many of them have room to add extra pages, trackers, notes, etc. Ah, the elusive dot grid. My go to in Amazon. It is possible to find a dot grid notebook in a brick-and-mortar, but it could be a wild goose chase. Some people have found them in Barnes and Noble, Michaels, Joanne’s Fabric, and other small craft shops. So, if you are up for a day of treasure hunting, go look through the stationery section of your local craft stores. Target is another possibility, as they do carry the Moleskine brand. However, your best bet is to order one online. As I said, I’m a huge supporter of Amazon. It’s my go-to for all things…. well, all things everything! But you can order from Staples, Jet Pens, BaronFig, etc. Do a google search for dot grid notebooks and you will turn up thousands upon thousands of results. The best advice is to try out a few different pens. You can do this for free at a lot of craft and stationery stores. They have displays for different pens and little notepads for testing. Try writing with a ballpoint pen, a felt-tip pen, and a fine nib pen. You may find that you like the feeling of one over another. Don’t be afraid to step outside the box of norm. You should feel 100% confident with whatever writing tool you have, and not just be using it because everyone on Instagram is. “How do you store all of your bullet journal supplies? Personally, I have a tote that carries damn near everything, and then I use Steralite Tower Storage to store any extra notebooks, old bullet journals, supplies I don’t use as often, and backup supplies. or an acrylic makeup organizer for pens. For small apartments, you could use something like a shoebox or small storage bin. But, you don’t have to buy anything to store your stuff. You can use an old coffee can or mason jar to store pens. A backpack or laptop case could easily be used as a place to keep your notebook and favorite supplies. You are welcome to start your bullet journal whenever you want. You could start with a monthly page for the current month and start your weeklies or dailies wherever you are in the month. On the other hand, if you are slightly obsessive about perfection or accuracy, you can wait to start until the beginning of next month. Just start setting up some of your pages now, and then you will be ready to start when the first rolls around. Like many other questions, this one is different for every individual. Depending on my day, I spend anywhere from 10 minutes to a few hours on mine. Now, don’t freak out! It is not at all necessary to spend that much time on your journal. I recommend spending a minimum of 10 minutes a day to think about and plan out your day. This is enough time to prioritize and gather all of your thoughts. If you are set on having an ultra-artistic journal, you will need more time. So, decide how much time you have available, what your ultimate goal is with your bullet journal, and how much time you want to devote to it. And if anything changes, so can you. You don’t have to stick with the same system or timeframe if you find it’s too much or that you want more. I like to do it this way when making new spreads. If you find a layout that you love and are going to use repeatedly, you may not need to sketch it in pencil first. But, again this is totally personal. If you are terrified of making a mistake, use pencil first. But, you should also learn to embrace and accept that mistakes will happen. So don’t overstretch yourself just to make sure a spread is perfect. I can’t count the number of times I’ve sketched in pencil and then still screwed up with the pen. It’s going to happen, and it’s okay. Don’t do it! Okay, just kidding. I don’t. Mine stays at home unless I’m traveling overnight. 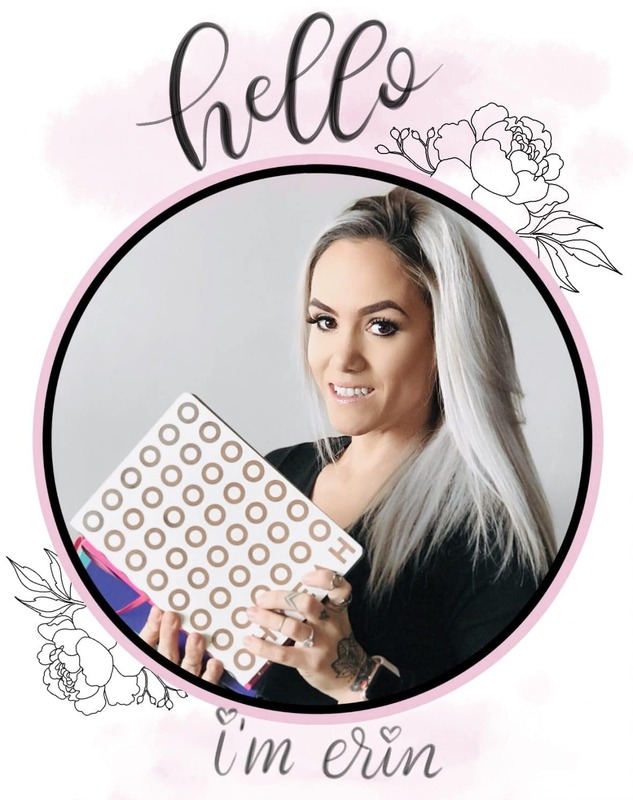 My bullet journal contains all of my blog information, contacts, etc. I don’t want to risk leaving it somewhere or having someone take it. But, it’s not out of the question to take your bullet journal to work or to the grocery store. If that’s what makes it the most productive for you, then do it. We only have one more post in this series, which will go live next week! But if you want to stay up to date with my posts and the happenings of The Petite Planner, subscribe to my newsletter. I’m not spammy and you get access to my VIP Resource Library full of free printables and other fun stuff when you do. For me, carrying it around everywhere is the essence of my bullet journal. I use it mainly for work, so it comes with me to the office. I really like the idea of always having something with me to note ideas, tasks etc. I have used Moleskine and Leuchtturm before, but I am on my second Rhodia and really love them. I have to number the pages myself, but I use a different kind of index now so I don’t miss that feature of the Leuchtturm. I just started another LT1917 and the first thing I did was tear out the index and make my own. I have heard a lot of good things about the Rhodia, and I know quite a few people who use one. I suppose I should order one and try it out. I’ve done the same. On a few rare occasions I have taken it with me. Thanks for sharing your experience.